Did you know that 4.7 million people in the United States are bitten by dogs every year and that the majority of those bitten are children? 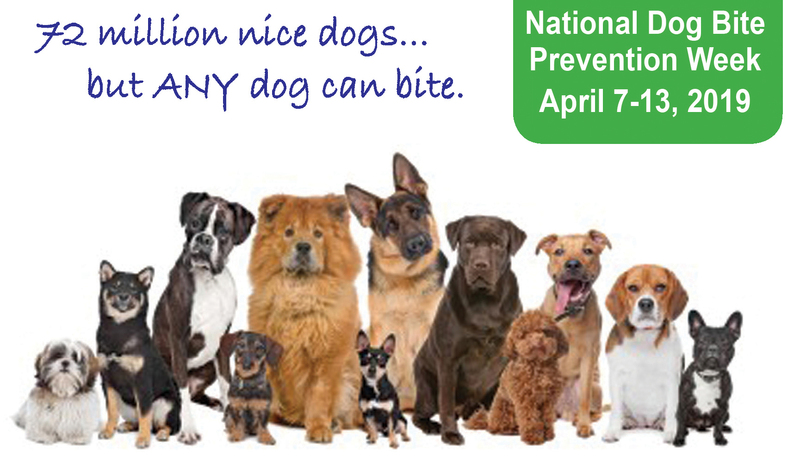 In recognition of National Dog Bite Prevention week (April 7-13), we would like to offer some helpful tips on how to prevent a dog bite from occurring. Dogs don’t bite because they are “bad” dogs. They generally bite because they are afraid, feel threatened, or are protecting something. All dogs possess a survival mechanism that cues them to bite – an innate response which has ensured their existence. Protecting their food, their offspring, and their territory is as important as protecting themselves from predators, or anything that MIGHT be a predator. (In the dog world, “bite first, ask questions later” seems to have worked out well.) To interact with dogs in our world, we simply need to remember a few basic rules. If you are approached by unfamiliar dog, you need to resist the urge to run. Keep your hands at your sides, remain motionless, and avoid eye contact with the dog. Once the dog loses interest in you, slowly back away until the dog is out of sight. Don’t ever approach an unfamiliar dog, especially one that is confined in a yard or car. Their instinct will be to protect his territory. So, what about meeting a dog that is accompanied by their owner? 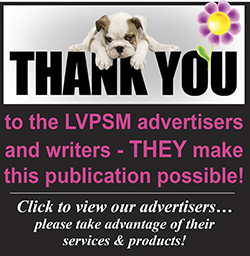 Some guidelines to use in this situation are recommended by the American Veterinary Medical Association. Follow this acronym: W.A.I.T. WAIT to make sure that the dog looks friendly. If the dog looks afraid or angry, STOP and walk away slowly. ASK the owner for permission before you pet their dog. STOP if the owner says no. INVITE the dog to sniff you by using a quiet voice, keeping your hands curled against your thighs. If the dog does not come over to sniff you, STOP and do not touch the dog. TOUCH the dog gently and never pet near the face, head or tail. Pet them on their back. At home, with your own dog, there are some rules for you and your children to remember. No matter how well-behaved a dog is, don’t ever leave a dog alone with a child….ever. Teach your children to leave your dog alone when it is eating, sleeping, chewing on a toy, or caring for puppies. Always make sure your dog sees you before you try to pet him. Startling your dog, in any way, may cause him to bite out of fear. Don’t ever stare at your dog. Staring, in the animal kingdom, is a challenge for dominance. Your dog may respond with aggression. Our feline friends add so much to our lives –affection, companionship, and always some comic relief. 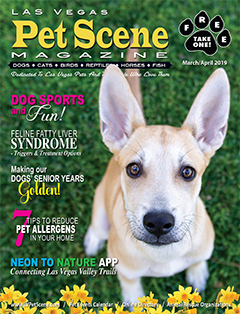 Like any pet, we as their caretakers need to educate ourselves about how to take care of them and what we can do to avoid an injury from our cat. A cat bite, for example, is usually avoidable if you are attentive to the warning signs your cat displays. The more you get to know your cat, the easier you will be able to detect those signs. If you are bitten, in spite of your precautions, it is important to know what to do and how to avoid being bitten again. “A cat bite is nothing to trivialize,” according to the cat programs manager at the Humane Society of the United States. Although cat bites account for only 10% – 15% of all animal bites, up to 50% of cat bites become infected. Cat bites have a higher risk of infection than many other animal bites because of the high amounts of bacteria in their mouths. Additionally, they have extremely sharp, small, pointed teeth which are the perfect tools for delivering the bacteria into the tissue. Due to this tooth shape, these wounds typically bleed very little. Like a puncture wound, the surface of the bite tends to close up at the skin’s surface, trapping the bacteria under the skin. If you are bitten by a cat, wash the wound immediately with an antibacterial soap for five minutes under running water. Flushing the wound with an antiseptic liquid, such as Betadine or Bactine solution is also recommended. Since cat bites can develop an infection as rapidly as 2 to 12 hours after the bite, you should immediately seek medical attention. Most cat bite wounds require antibiotics promptly. Learning to read your cat’s body language will help avoid this type of mishap all together. Flattened ears, enlarging pupils, squinting, or a rapidly twitching tail can all be signs of impending aggression. Over stimulating a cat, which can include too MUCH petting, can also cause a biting response. Never attempt to pick up a cat when it is noticeably agitated or fearful. When cats are scared, they need to feel that they have the option of running away. If you’re trying to pick them up, they may bite you just to get down. 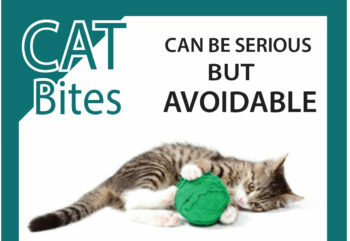 Overall, most cat bites are avoidable because they are predictable. The better you can predict your cat’s behavior, the safer and happier your relationship will be.